These fun and bright fashion colors are ready when and where you want them! Just spray in, enjoy and shampoo out! Perfect for costumes, celebrations, and school events! We carry thousands of professional salon products available to the public. Many are exclusive lines that the big box stores can't get! 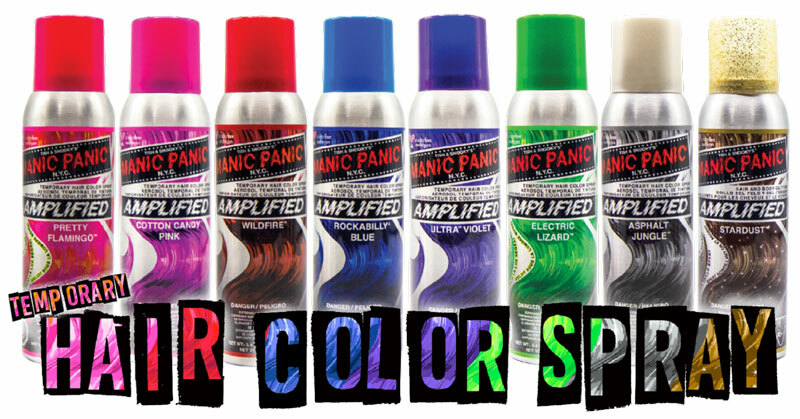 We are an authorized salon retailer for every brand we carry. All of our products come fully backed by the manufacturer. We are a REAL family owned business & working salon, not a big box or warehouse. Our #1 goal is your complete satisfaction. Not sure which product suits you? Give us a call and let one of our salon professionals help you find the perfect product. We have been serving the Santa Cruz area for over 30 years and promise to provide the same impeccable service online and off. Westside Beauty Supply is more than just a beauty supply. We feature full-service salons with professional stylists at every location. Our sales associates go above and beyond with in-depth product knowledge, personalized skin and hair care regimens, and foundation color matching consultations free of charge. We accommodate walk-ins when we can, or call us to schedule an appointment. We pride ourselves on our outstanding customer service, in-store and online. We have successfully served our customers for over 30 years, and hope to continue serving you for years to come. © 2019 Westside Beauty Supply. All Rights Reserved.